Christmas trees, holiday lights and beautifully wrapped gifts are all part of the season. Unfortunately, they are also the cause of many fires each year. Following a few safety precautions when decorating can greatly reduce your chances of a home fire. 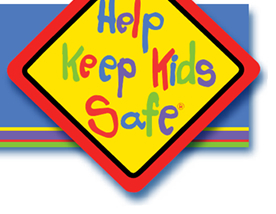 Use the tips below to help keep you and your family safe this holiday season. When selecting a tree, check for freshness. Needles on fresh trees should be green and hard to pull away from branches. Fresh needles do not break when bent between your fingers. Also, the trunk should be sticky with resin. Old trees can be identified by bouncing the tree trunk on the ground. If many needles fall off, the tree has been cut too long, has probably dried out, and is a fire hazard. Once home, do not place your tree close to a heat source, including a fireplace or heat vent. The heat will dry out the tree, causing it to be more easily ignited by heat, flame or sparks. Never put tree branches or needles in a fireplace or wood‐burning stove. When the tree becomes dry, discard it promptly. The best way to dispose of your tree is by taking it to a recycling center, or having it hauled away by a community pick‐up service. When searching for that perfect Christmas tree, a safer choice may be a fire resistant, artificial tree. If you buy one, look for a statement specifying this protection. Inspect holiday lights each year for frayed wires, bare spots, gaps in the insulation, broken or cracked sockets, and excessive kinking or wear before putting up. Do not overload electrical outlets by linking more than three light strands, unless the directions indicate it is safe. Connect strings of lights to an extension cord before plugging the cord into the outlet. Never leave holiday lights on unattended. Lights could short and start a fire. Turn off all tree lights and other decorations when you go to bed or leave the house. Never put wrapping paper in a fireplace. Some p apers contain foils and other flammable materials that can ignite a large fire, throwing off dangerous sparks and embers that may result in a chimney fire. When using candles, make sure they are in stable holders, and place them where they cannot be easily knocked down. Never leave the house with candles burning. All decorations should be nonflammable or flameretardant, and placed away from heat vents and fireplaces. Each year fires occurring during the holiday season claim the lives of over 400 people, injure 1,650 more, and cause over $990 million in damage, according to the United States Fire Administration (USFA). Atlanta, Georgia Injury Lawyers Montlick & Associates is committed to keeping you and your family safe this holiday. That's why Montlick & Associates created the Holiday Decorating Safety Guide above. You can help prevent the loss of life and property by following simple safety precautions this holiday. Montlick & Associates, Attorneys at Law also encourages you to have working smoke alarms installed on every level of your home, test them monthly, and keep them clean and equipped with fresh batteries at all times. Always plan for safety!